Maybe that's not true; honestly, I have a love affair with all colors. My photography is full of bright, vibrant, saturated hues instead of the washed out and muted tones of some trendy images today. Still, fall foliage in Ohio takes my breath away every time. 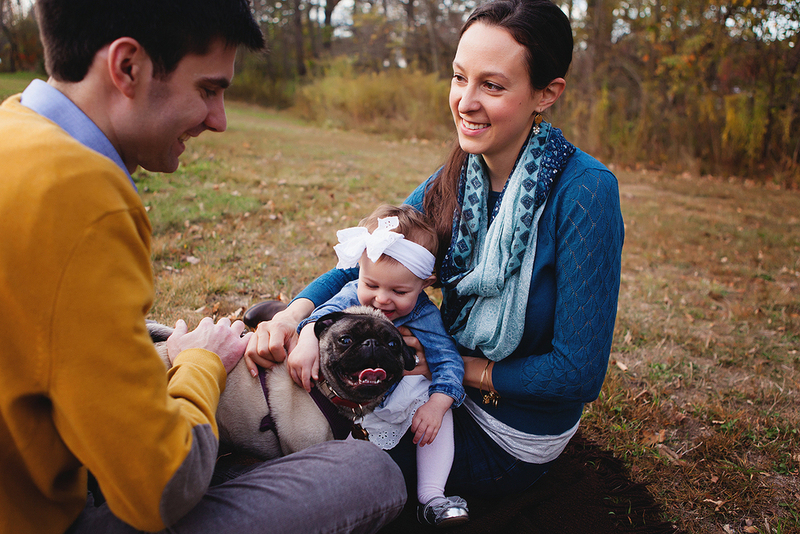 I love including dogs in family portraits, and pugs have such funny little personalities! 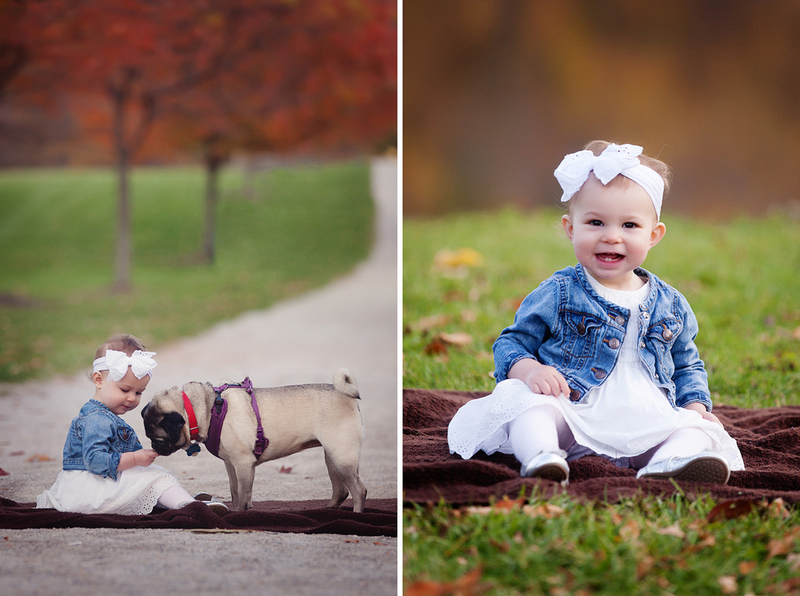 Bringing the family dog along may seem a little stressful but it never fails to get some genuine giggles and smiles from the little ones, or sweet moments between two friends like the one pictured above. Can we talk outfits? The coordination of this family was on point. Sweaters in a yummy mustard yellow and cobalt blue, gorgeous tall brown boots on mom, layering with shirts and scarf, the little one in a white cotton eyelet dress topped with the perfect little jean jacket. 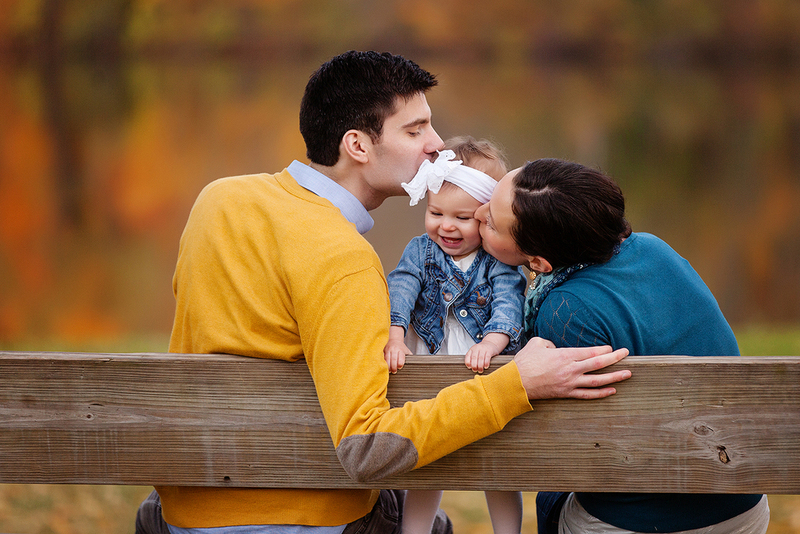 If you're dreaming of beautiful fall family photos like these, email me! October is a super busy month and will be here before you know it. Sometimes the perfect setting is right in your front yard. 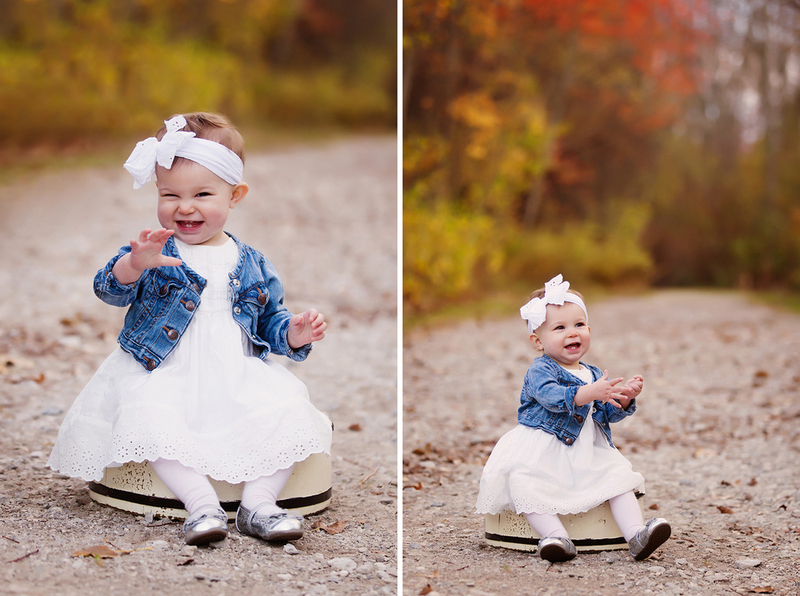 Fun Photography Tips for First Day of School Pictures!